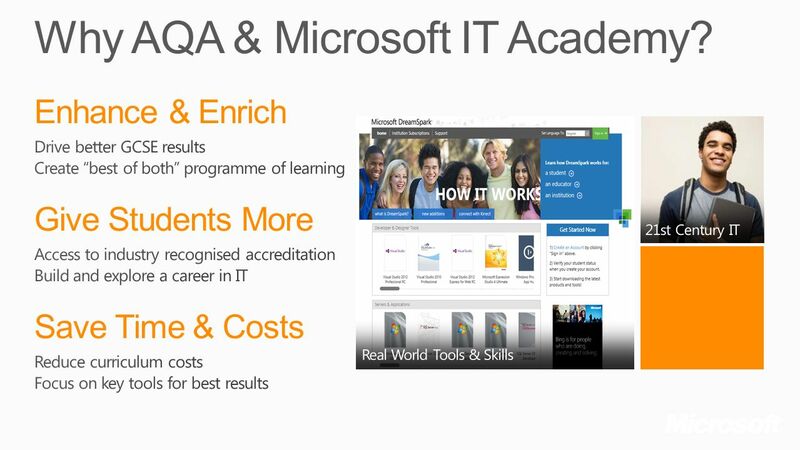 2 Why AQA & Microsoft IT Academy? 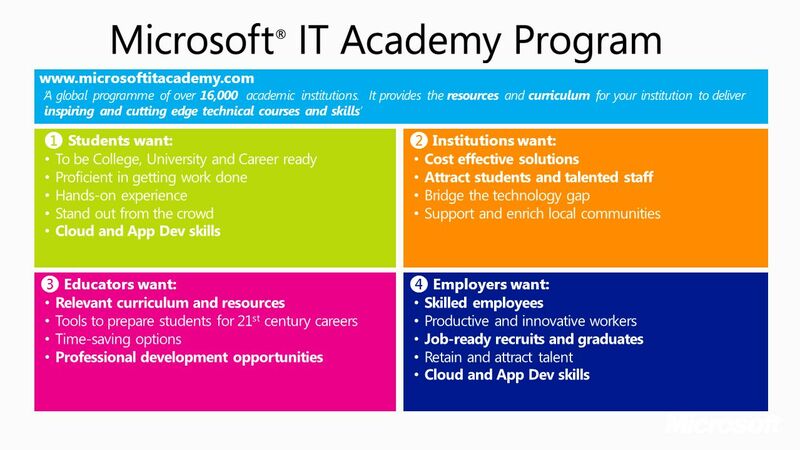 3 Why Microsoft IT Academy? 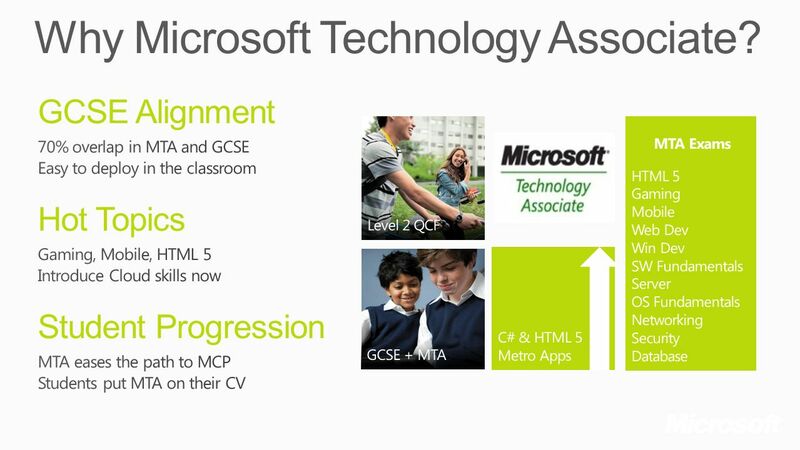 4 Why Microsoft Technology Associate? 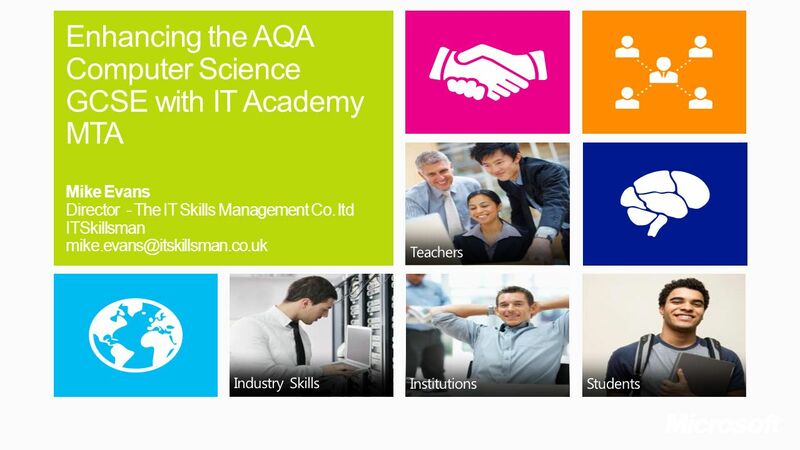 8 How Do I Sign Up to IT Academy? 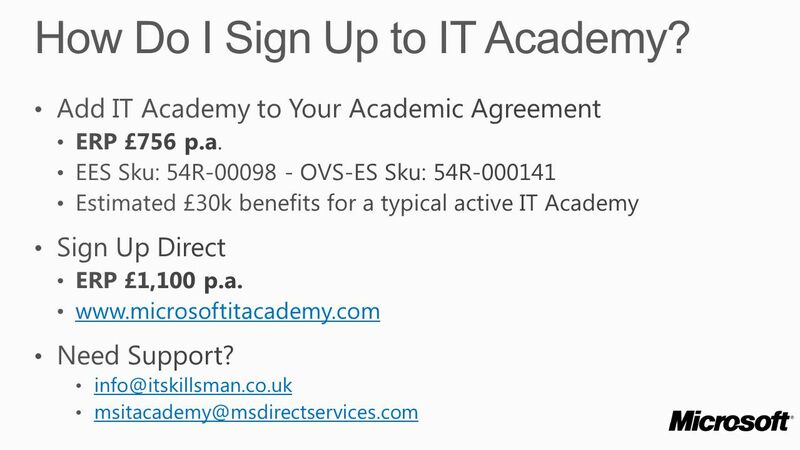 Add IT Academy to Your Academic Agreement ERP £756 p.a. 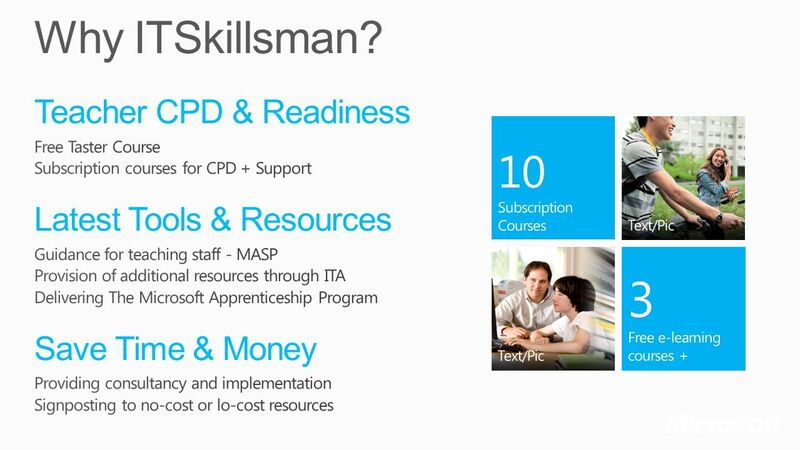 EES Sku: 54R OVS-ES Sku: 54R Estimated £30k benefits for a typical active IT Academy Sign Up Direct ERP £1,100 p.a. Need Support? 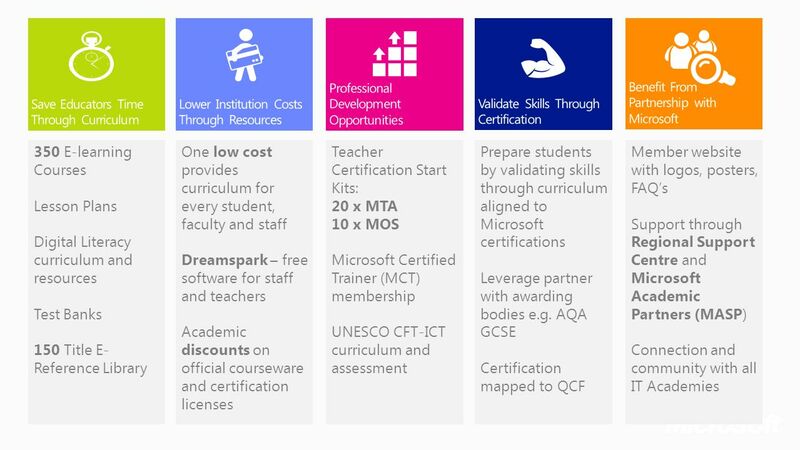 Download ppt "Enhancing the AQA Computer Science GCSE with IT Academy MTA"
Digital Literacy, why it matters Andrea Parola European e-Skills Association – General Manager. 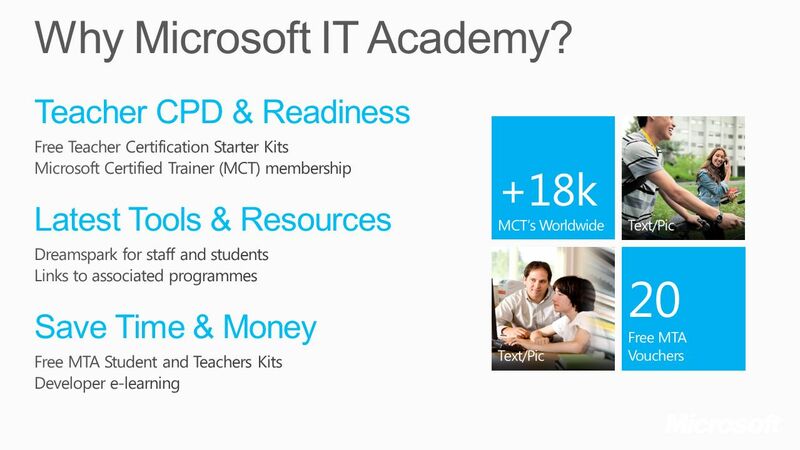 July 24, 2012 Amy Merrill Microsoft Learning Microsoft IT Academy Program. Partners in Learning Partners in Learning UK: Next Steps Kristen Weatherby UK Programme Manager Partners in Learning. 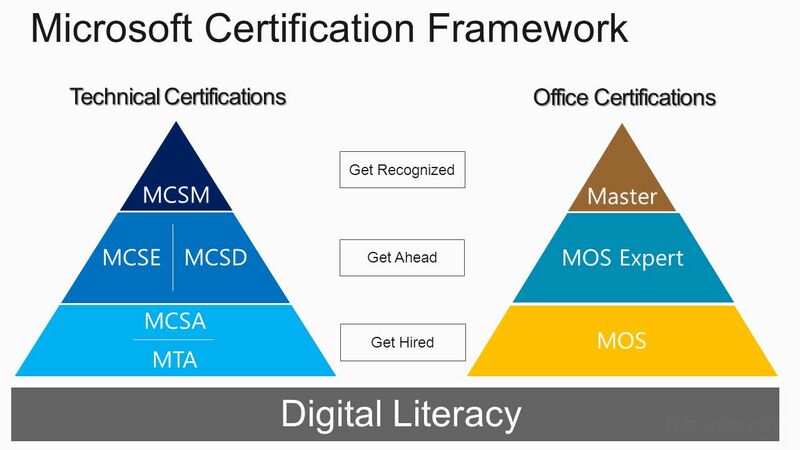 Industry Certification Program…. 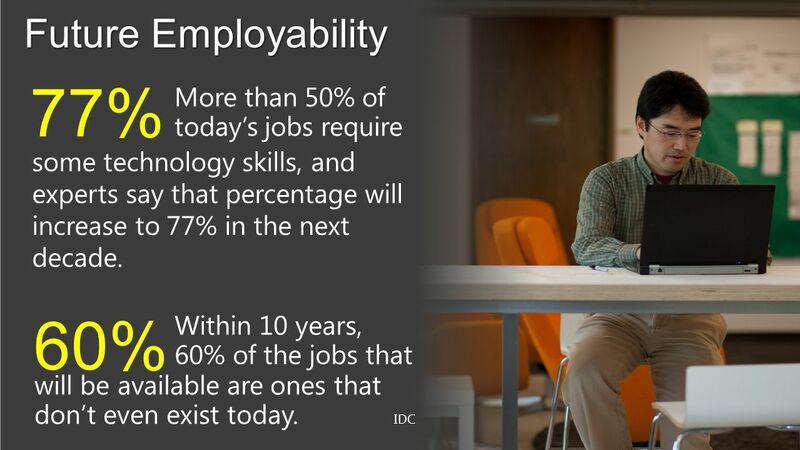 for Tennessee Business Technology Instructors! Presented by: Dr. Lloyd Brooks 2006 Summer Conference - Murfreesboro. 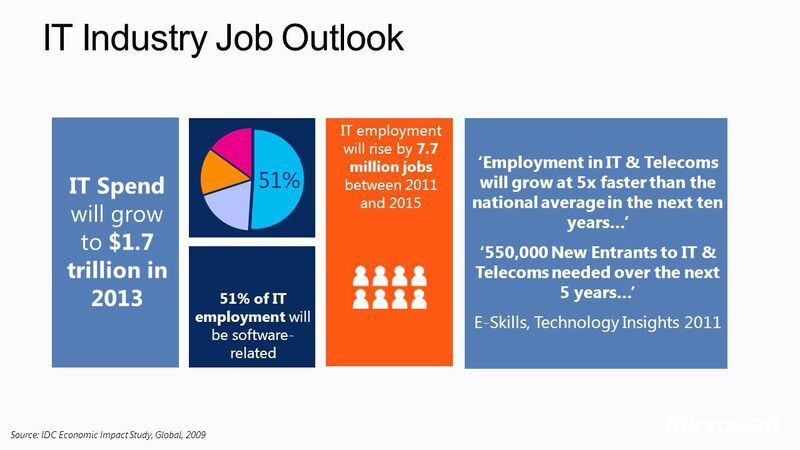 E-Skills Fostering Competitiveness, Growth and Jobs. Higher Education Advisers’ Conference 9 July 2014. Digital Norfolk Ambition 6 th February 2014 For Norfolk School Business Managers. 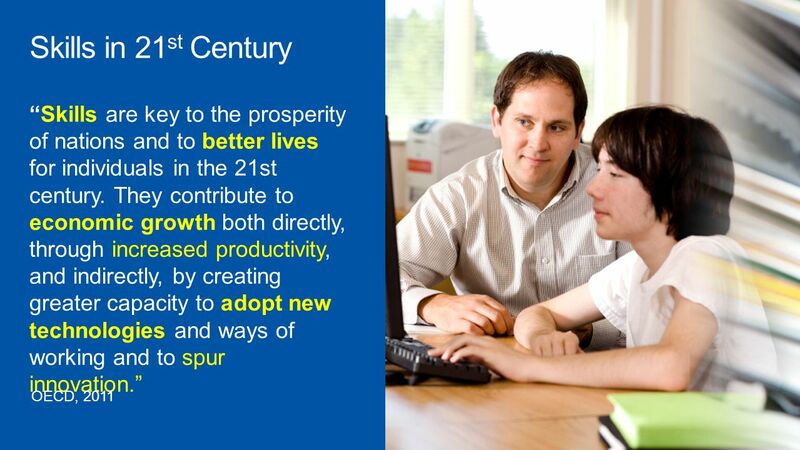 21st Century Skills for Employability Don Carlson Director of Education Microsoft – Western Europe. 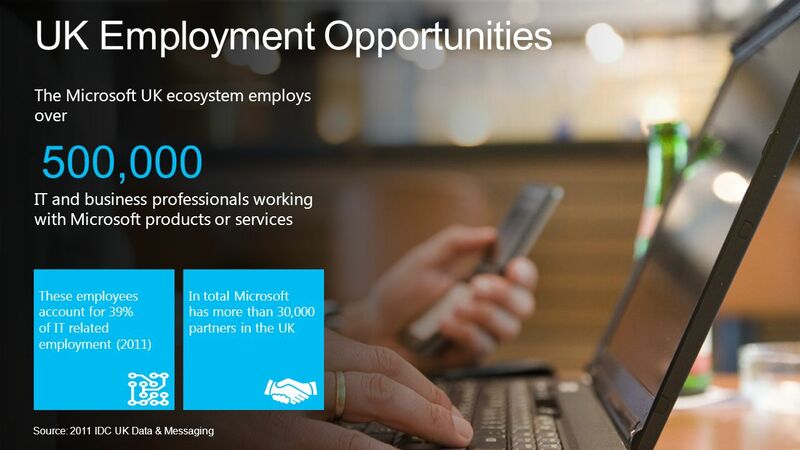 IT Academy Value Microsoft Certified Solutions Expert /Microsoft Certified Technology Specialist eLearning Courses $34,900 value Marketing Materials $300. 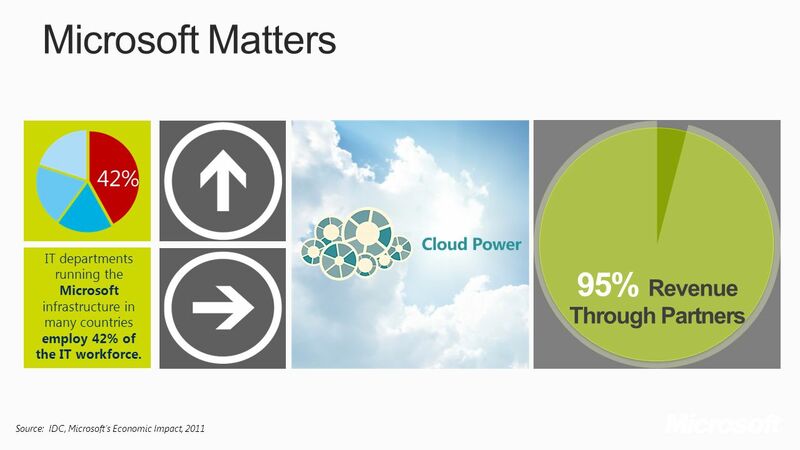 Copyright 2009 IDC Aid to Recovery: The Economic Impact of IT, Software, and the Microsoft Ecosystem Worldwide Prepared for Microsoft Corporation October.